LET GO: THE PRELUDE short drama (Arek Zasowski portrayed Henk) was Officially Selected and screened at the Cyprus International Film Festival “Golden Aphrodite”, ranking in the top 100 best reviewed festivals among 5500 film festivals worldwide according to FilmFreeway and Pafos 2017 the Cultural Capital of Europe. CHINESE ANGEL drama was officially selected by Miami Independent Film Festival. Arek Zasowski participated as an Active Observer at the Park Theatre London. channel 4, in Victoria, Canada. Call Me (Theatrical Cut) was selected by Miami Independent Film Festival. Call Me - Episode 4 - Nope, I’m Not Ryan and Call Me - Episode 5 - Voicemail, Seriously? were selected by Miami Independent Film Festival. Call Me - Episode 6 - Her Name is Julia was selected by Miami Independent Film Festival. Call Me - Episode 5 - Voicemail - Seriously? was officially selected by 300 Seconds Short Film Festival in Toronto, Canada. It was screened with live audience on July 23, 2018 in Toronto. LET GO: THE PRELUDE won Bronze Award in Best Narrative Short category and Arek Zasowski won BEST ACTOR – Bronze Award at Pinnacle Film Festival, Hollywood Hills, CA. It’s a great moment as it is the very first time Arek Zasowski won BEST ACTOR in his acting career. LET GO: THE PRELUDE is Arek’s first shortfilm that he wrote, directed and produced. See more awards here. Call Me - Episode 13 - The Battery was accepted into the monthly edition of Miami Independent Film Festival. 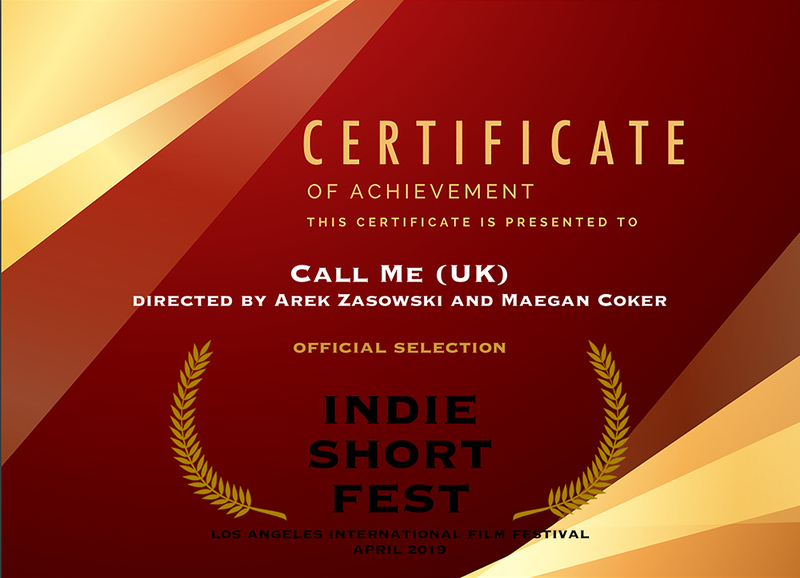 CALL ME was officially selected for the April round of Indie Short Fest in Los Angeles, CA. 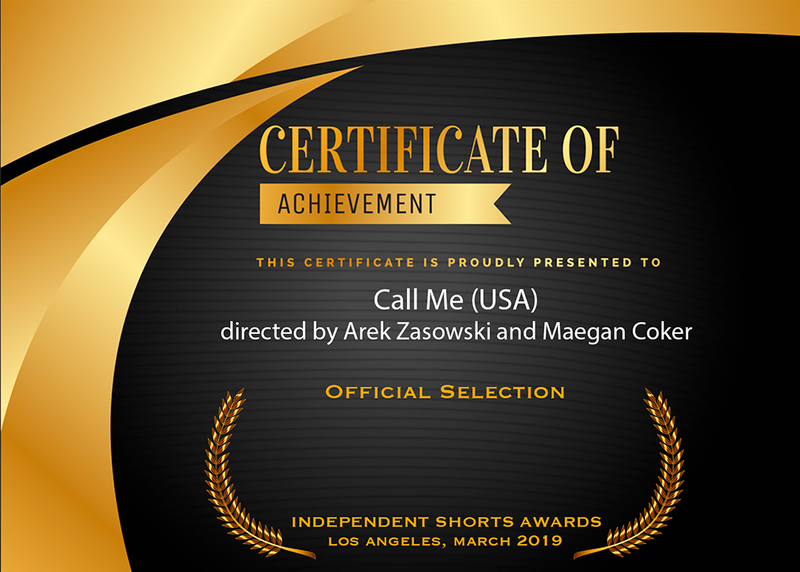 CALL ME was officially selected by Independent Shorts Awards International Film Festival in Los Angeles, CA.